Polyurethane Custom Moulding : Manufacturers Urethane Custom moulding as per your specifications. Urethane Custom moulding as per your specifications. Urethane Custom moulding as per your specifications. 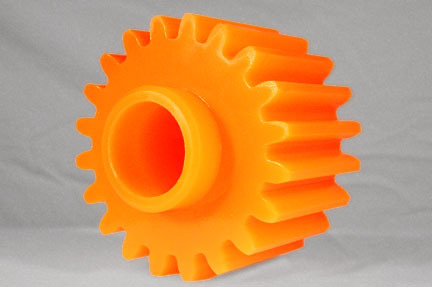 We can custom mold your gears to meet your requirements. In some instances, we can mold off an existing gear. This allows We the capability of manufacturing a prototype quickly and economically. 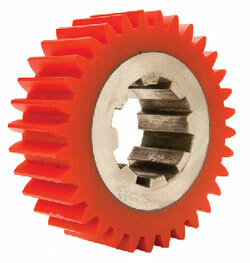 We can also develop gears to your recommended standards, call us with your application. These gears are manufactured with the concept that if a machine jams up the gear will break away. The concept of this gear is that it will have enough give to "break away" when machinery jams up. This prevents the lost of product and machinery.